Whenever it comes to seasonal decor, I like to go the DIY route as much as possible while incorporating everyday pieces I already have. I always like to make sure the season outside is reflected inside my home, thinking past fall and winter. 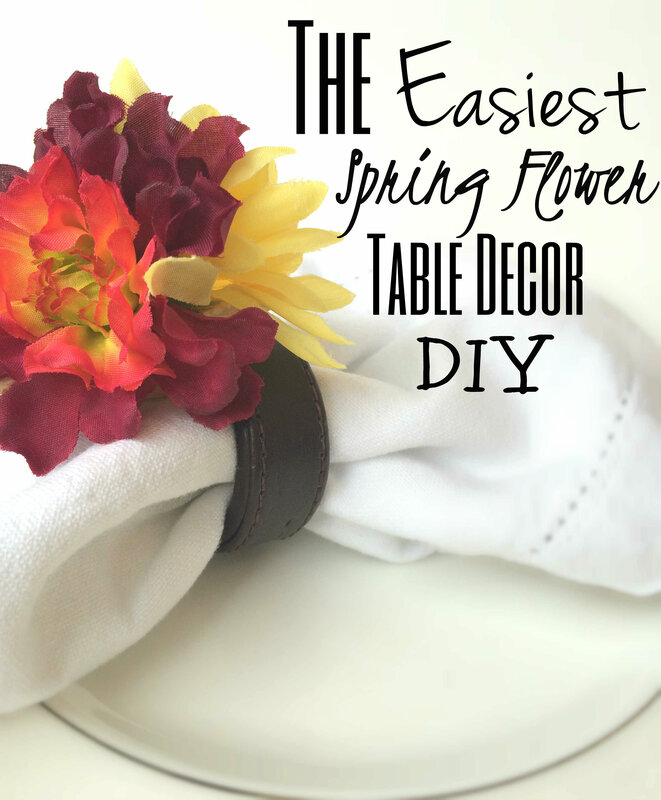 Here is the fastest, easiest and cheapest way to add some spring and summer cheer to your table, (especially for Mother’s Day). 1. 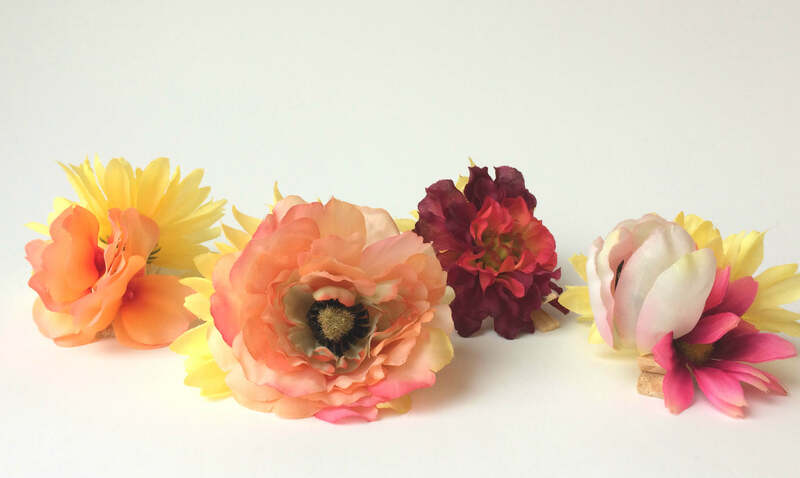 Grab a bunch of faux flowers. I tend to over-stock on my arts and craft supplies, so I had been waiting for an opportunity to use the flowers I had picked up at our local dollar store. Cut the stem off of each flower to prepare them. 2. 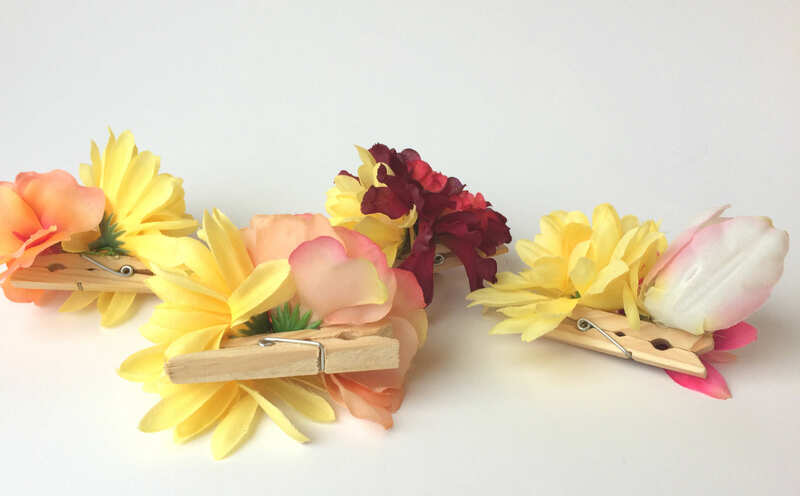 Hot glue your flowers to clothes pins. Add a dab of hot glue near the centre of your clothes pin and hold one of your flowers there until it dries. Repeat using a different flower pushing them up together. 3. 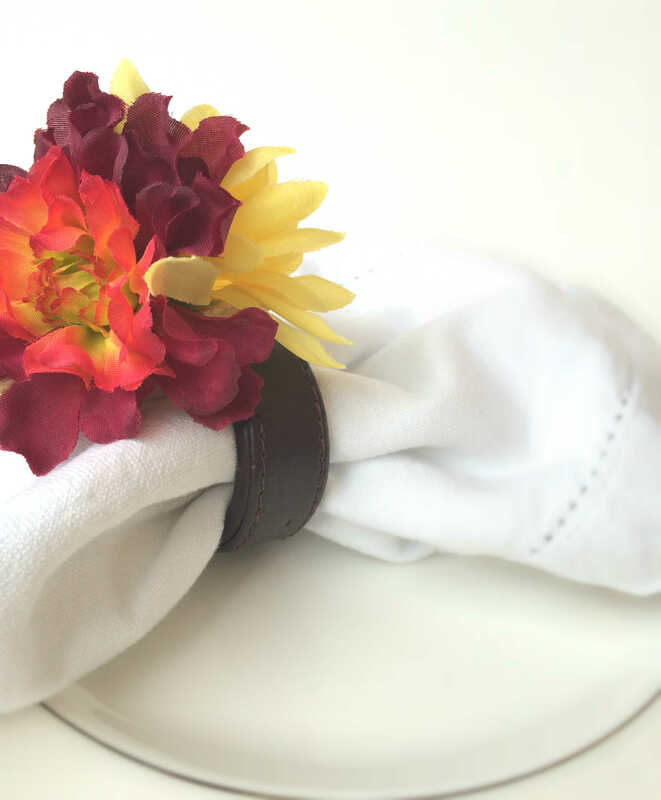 Clip your flower clothes pin to a napkin ring. 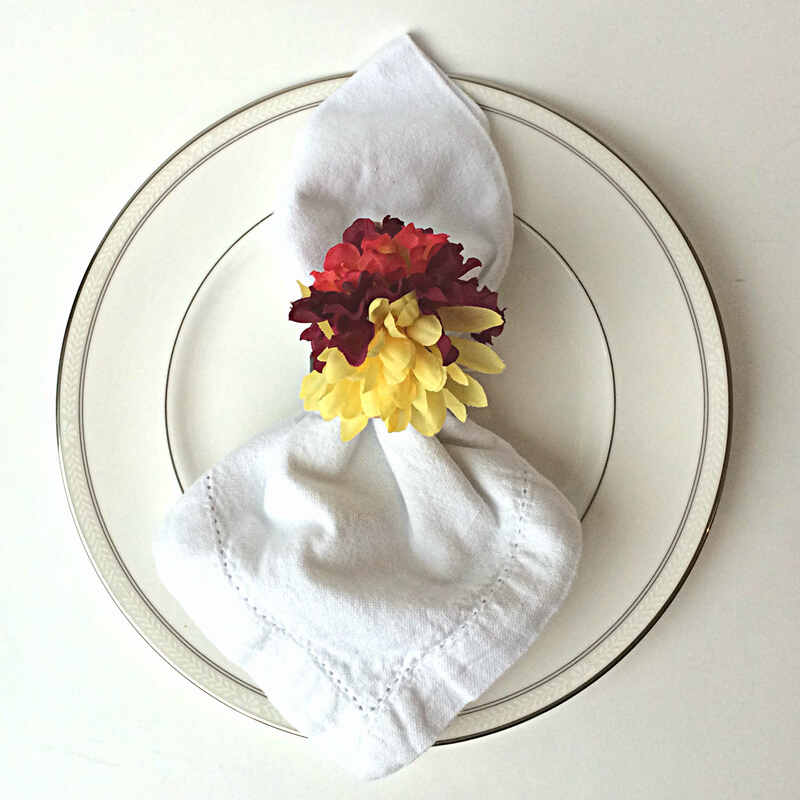 Once the glue has dried, pull a cloth napkin through your existing napkin ring. 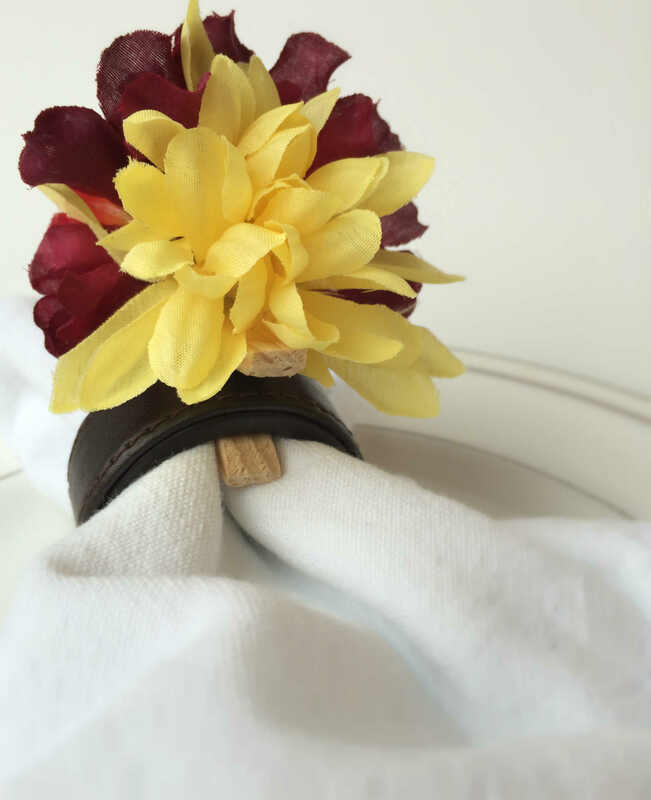 Then add a cheerful splash of colour by clipping your clothes pin flower decor to the napkin ring. 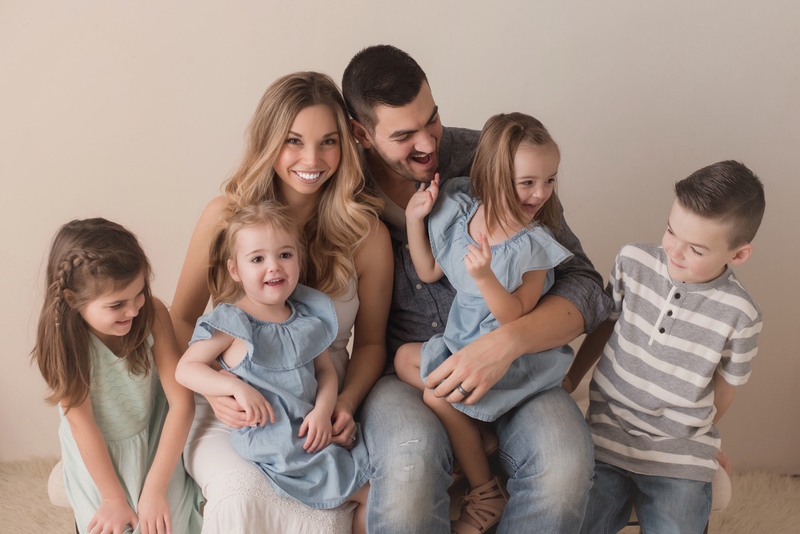 Don’t forget to LIKE Nesting Story on Facebook, and FOLLOW Nesting Story on Twitter, Pinterest and Instagram. Next Next post: Look I’m Vlogging!